Dwayne Haskins had a wonderful year during his only season as the starting Quarterback for the Buckeyes. After torching the Ohio State record books, he will look ahead toward his future as an NFL Quarterback. Although he could use another year to sharpen and hone his skills, he has the necessary tools and traits to succeed at the next level. The lucky team who covets him will get a baller with very few flaws. Haskins is surely capable of playing at a high level and if he gets a shot early he could make some noise, but every team interested in his services seems to have a veteran in place for the time being. Having a seasoned veteran in place isn’t necessarily a deal-breaker in the Haskins sweepstakes. In a pre-draft interview, he mentioned that he was open to learning under an established veteran, so although we would have to wait some time for the Dwayne Haskins era to begin, he will have an opportunity to become an understudy until his number is called. Here is a list of Quarterback-needy teams to keep an eye on for the upcoming draft. There is a lot of smoke from multiple teams, so it will be an interesting ride for Haskins the fans out there (including myself!) to get drafted by their own NFL franchise. Buckle up, folks! 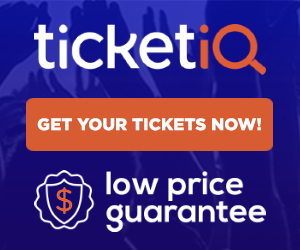 Arizona has been connected to a Quarterback prospect in the draft, but unfortunately, it isn’t to Haskins. They have their eyes set on Kyler Murray, the Oklahoma Sooners stud who spurned the Oakland A’s to pursue football instead of baseball. I know that it isn’t Haskins, but its the NFL Draft, the pick could change. There can be a situation (a la Aaron Rodgers) where Murray could slip down after a last-minute discovery. It seems likely that it will not happen, but it is always fun to play the “what if” game before the draft. Given their infatuation with the type of Quarterbacks Kliff Kingsbury has had at Texas Tech, Murray fits that Gunslinger mold similar to Mahomes, so there is that. The team also spent a 1st Rounder last year on Josh Rosen. There has been some speculation about his future, but we will see what continues to develop as the NFL Draft inches closer. There might be a surprise or a few on draft day. Oakland has a franchise Quarterback in place in Derek Carr, but John Gruden might be ready to turn the page on him with Haskins. By acting as the understudy, it would give time for him to master the playbook while biding his time. 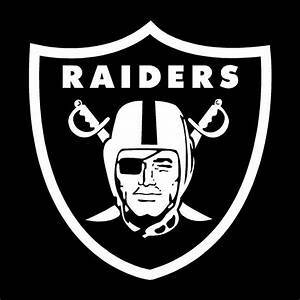 There could also be some waves during the draft and we could see Carr getting traded during the draft. You honestly never know about the draft, but it is possible. Chucky is also always somewhat connected to anything Ohio State. Like before Urban Meyer accepted the job, Gruden was always mentioned as a potential candidate for the job. I have been seeing a lot of draft experts talking about Haskins at this pick, but it could be more smoke and mirrors, and we could see a trade happen if the right offer comes up. The fit for Haskins would work as well, but with the number of talented pass-rushers in the AFC West, he might spend a lot of his time on the ground as he learns, but he could thrive under the Raiders system. The Giants are the most connected to when talking about Dwayne Haskins. 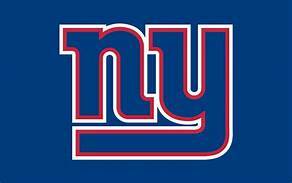 With the combination of being a lifelong Giants fan and the teams need for a solution after Eli calls it quits, it seems like a perfect storm for the team. With the departure of Odell Beckham Jr and the extension of Sterling Sheppard, it would be a fun offense to watch with the addition of Haskins and the rise of Barkley. This would be the ideal situation for him to thrive and learn under another Super Bowl winning Quarterback. He would certainly be up for sitting behind Eli as he continues to develop and learn the playbook. It would be a shock if they don’t take him. The Jaguars are in dire need of a Quarterback after cutting ties with Blake Bortles. They have put a bandaid on the situation with the former Eagles Super Bowl hero Nick Foles, but the future remains murky. Haskins could fall to the Jags if the Raiders and the Giants end up taking other needs and he would fit here too. With a solid defense in tow and a punishing running attack, he could thrive with little pressure to put up points. 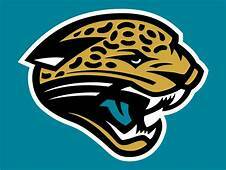 All he has to do is become more productive than Bortles was and cutting down on the turnovers or mistakes. If he could do that, he would be golden. This makes sense because of the age and the wear and tear with Foles. Denver has needed a Quarterback since the end of Peyton Manning’s playing days and it is beginning to show. Firstly, I am a fan of this franchise and it hurts, but Haskins at this spot would restore my faith in John Elway. The Broncos, Elway specifically is infatuated with Drew Lock at this spot. Kind of like the Brock Osweiler experiment, the Trevor Siemian season, the Paxton Lynch debacle, and the Chad Kelly gamble. Each of them reminded Elway of himself and each selection was a bad one. This year, Elway has a chance to change that if he selects Dwayne Haskins, but will he be willing to do it? New Head Coach Vic Fangio would like to bolster the defense with a game-changing Linebacker and with Joe Flacco joining the team, they could wait another year to draft his successor OR they could grab a Haskins who is plummeting in the draft (allegedly). Haskins fits with the Broncos and he could study under a Super Bowl winning Quarterback like Joe Flacco. 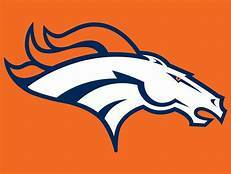 I would certainly enjoy it and start watching the NFL more, but it is up to Elway to work his magic. The Bengals are in a spot where they could keep the former Ohio State product in the state of Ohio and it could certainly happen. Andy Dalton has been iffy over the last couple of season and his health is a huge concern. Haskins is like a tank and he has been fortunate enough to not be seriously hurt by the injury bug. 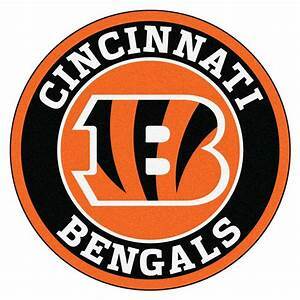 Haskins to Green/Eifert has a nice ring to it and I am positive that a few Bengals fans would love it too. Although the learn under the Super Bowl winning Quarterback does not apply here, he can stay in Ohio and he has a decent offense to work with Mixon being there for the handoffs in the running game. Their defense will undergo a lot of changes, but with the addition of Haskins, you never know. The Dolphins moved on from Tannehill and they could get a steal with a plummeting Dwayne Haskins. If all of the previous teams pass on him, I would be upset, but it is the name of the game. He could learn under Ryan Fitzmagic for the time being before earning the starting job. The offense is not as good as the other teams, but it the cupboard isn’t bare and Haskins could inject some energy into the team. 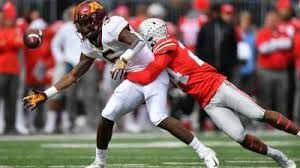 He also would have a good defense and he would reconnect with former Buckeye Linebackers Jerome Baker and Raekwon McMillan, which would be awesome to see at the next level. 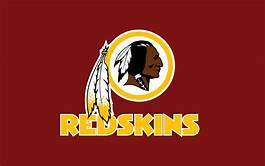 The last team on the docket is the Washinton Redskins. They have a lot of depth in the Quarterback room with Alex Smith recovering from a gruesome leg injury, the recent trade with Denver for Case Keenum and then there is Colt McCoy too. The situation could get more complicated with the addition of Haskins, especially when having that many players at the same position. The only way this would happen is to make draft day trades, but we shall see what they could manage. If Haskins joins the fold, he would have a pretty explosive offense with a punishing running game. The defense is always good in D.C. He would learn under three Quarterbacks with varying levels of success in the league. With the annual Spring Game just around the corner, there are many reasons to be excited about the 2019 team. The biggest elephant in the room is the changing of the guard between Urban Meyer and Ryan Day. In epic fashion, the keys were handed over to him, leaving Ohio State in more than capable hands to lead this new era of Ohio State football forward and onto big things. From day one of taking the sticks from Coach Meyer, he assembled quite an impressive staff that returned only Brian Hartline, who is now their full-time wide receivers coach, Larry Johnson, who will act as the teams Associate Head Coach and the defensive shot-caller, Tony Alford, who returns to coach the Running Backs, Kevin Wilson, who is responsible for the Tight Ends and finally, Greg Studrawa, the O-Line head honcho. The Buckeyes lost a few of their coaches. Some were not retained and others left for jobs elsewhere, but I personally wish them the best, but they also managed to improve on the fly by poaching a couple of former rivals to add to the team in Greg Mattison and Al Washington. They both jumped ship to help the team improve the play of the front seven. Jeff Hafley was added to coach up the DB’s and he came after a stint with the 49ers. Day also added the former Oklahoma State O-Coordinator Mike Yurich, who is a bright, young offensive mind who will be coaching the Quarterback room. Coach Day has assembled a team comparable to the Avengers, with every coach being some form of a rising star or a threat to opposing coaches, with the core group of coaches acts as the foundation to ensure their potential is reached. The offense has the potential to scorch teams and the defense has the depth to outlast teams in the trenches. Excitement outweighs the dread, but we have to be patient. Even with a new Head Coach, the expectations at Ohio State remain sky-high. That is what all coaches to don the Scarlet and Gray have hovering over their heads. With a couple of pass-friendly and pass-happy coaching in tow, the Buckeyes have a potent group of coaches that will look to maximize their talent and play to their players strengths. I fully expect a balanced offense that fall in the 55/45 model. Balance is key and so is speed. The Buckeyes are loaded at just about every level on offense and defense, but a 55% pass and 45% run gameplan could cause defenses to scramble or panic. This would be awesome and as a fan I am excited to see what develops as the season inches closer. Quarterback is a two-man race, with Fields likely to be the starter. He is locked in a battle with Baldwin, but you just never know. The odds are in his favor and it is his job to lose. For Running Back, it is Dobbins’ show as the feature back with Teague, Crowley, and McCall vying for playing time. This is not the deepest skill position at Ohio State. The Wide Receivers room is stocked full of talent with Mack, Victor and Hill being the most experienced and young players like Olave, Gill, Wilson, Harris and Gardiner looking for snaps as well. Tight End is also competitive with Farrell leading the way and Berry and Ruckert waiting in the wings. The O-Line will have to find new starters and they have a lot of former four/five stars fighting for the jobs available, but Jonah Jackson, a Grad Transfer from Rutgers will be one of the key cogs along the line with Wyatt Davis. The defense is also very deep at every position. With the addition of three new defensive coaches, their collective views will show in year one of the Day Era. Not only have they stockpiled the talent over the years at Ohio State at just about every position, the position coaches have also been compiled and every coach on the roster either brings years of experience with them or is a rising young coach that got his shot at one of the best places in Ohio State. The front four is beyond deep, even after the losses of Dre’Mont Jones and Nick Bosa. Young returns, as Smith and Harrison continue to develop during the offseason. Defensive Tackle is also deep with Landers returning and Vincent, Garrett and Togiai in tow, the look to get after opposing offenses by consistently harassing and disrupting opposing offenses. The Linebackers also get a boost with a simplified defense that will allow them to fly around the field and make plays. DB’s get a boost as well being taught to look back for the ball, which was part of the problem last year as they look to turn it around. 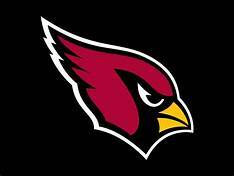 Playing faster will help the defense a lot and I cannot wait to see them dominate with the new scheme because the defense over the last couple of years has been so frustrating, but I believe it will revert back to the Silver Bullet standards over the next couple of seasons. I think with Haubeil and Chrisman at the forefront, the Buckeyes have game changers at their disposal. The returner positions and gunners need to be identified and with recent struggles with fielding kicks, I hope they find sure-handed players that won’t make mistakes. Either way, Special Teams is in good hands. One last game. One last moment. It is time for us to all collectively take it all in–for the last time where Coach Meyer will spearhead the Scarlet and Gray in the mother of all games, The Rose Bowl. This moment could be or feel bittersweet, but it is time for Coach Meyer to call it quits and what better send-off than a victory, especially a resounding victory at his first Rose Bowl? This game will be filled with NFL caliber talent all over the field and on both teams. There is a lot at stake and there are many storylines that could be the focus, but both teams are conference champs and both teams are vying for a Rose Bowl victory. Coach Meyer’s last ride as the Buckeye Head Coach and Coach Petersen’s first shot at the Rose Bowl and against the Buckeyes. With both teams vying for the win the talent at quarterback is key to eithers success on the field. Ohio State’s Dwayne Haskins, a Heisman finalist in the end with a high draft grade and Jake Browning, a four-star with something to prove against an aggressive Buckeye defense that is both inconsistent and is seemingly finding their grove after that embarrassing loss at Purdue. Haskins has been in the spotlight with all the draft talk stealing the majority of the headlines. He has repeatedly been asked about his impending decision, but all of that will be placed on hold for the time being to ensure that all of his focus is on the Rose Bowl and not on his future endeavors, which is a smart move for all parties involved with the Buckeyes. 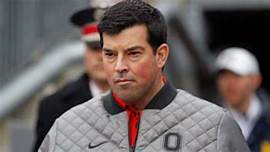 Browning made waves on one of his interviews where he explained that the Buckeye defense had “exploits” and “weaknesses” they discovered after reviewing the Purdue tape. Yes, that game was by Iowa 2.0. and the defense was gashed the entire game, but teams improve and there should be small windows, but not the massive ones from the Purdue game. He also didn’t say it to be disrespectful or give Ohio State bulletin board material, but these quotes will somehow make it on one for the game. Either way, the battle at quarterback will be one to watch. Both defenses are good, but the offenses can overshadow the defense easily with the big-play ability on both sides. Both of their supporting cast members are electric, fast, and talented. It will only add to the drama if things end up being close. 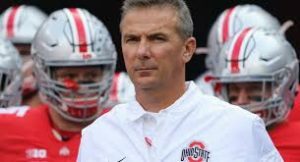 Ohio State wants to send their legendary coach on a good note so I would not be surprised if this game is out of reach early. What game outside of the CFB Playoff teams has what seems like an endless roster filled with playmakers than Ohio State and Washington? Both are talented teams filled with NFL-type players that are looking to improve their draft stock or put on a show to remember. Both teams have contrasting schemes and they will look to impose their will on the other team to ensure a victory. For Ohio State, they rely on Haskins’ arm while sprinkling in the run by either Dobbins or Weber. 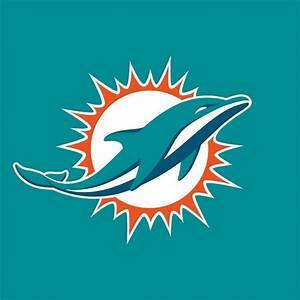 They will lean heavily on the running game to break it up a little and keep the defense on their toes. The key unit will be Zone 6 and their three senior captains, Dixon, McLaurin, and Campbell–they will dictate the game for Haskins and the offense. It will be up to the Washington defense to stop them but even if they do, the younger players waiting in the wings could also make an impact. One of the biggest obstacles will be the Huskies defense because they are allowing 15.5 points per game, but we all saw what the Buckeyes did to the #1 ranked Wolverines defense. For Washington, they focus on the run more than the passing attack. Gaskin will be overutilized and he will be all over the field. Running Backs like Gaskin can be Ohio State’s undoing and their Linebackers need to play disciplined to stop him. They will end up giving up big plays but not the Purdue big plays because the Buckeyes are planning to send their coach with a win, and by all means they will achieve it. The defense will be another phase of the game to watch because it is filled with NFL prospects. Dre’Mont Jones is a future first round pick and he will be playing to end his career with his coach and his teammates. Jordan Fuller, Kendall Sheffield, and Damon Arnette have not announced yet, but depending on what happens, they could also be playing their last game as a Buckeye. The Buckeyes have improved a lot over the last few weeks and I am sure they are tired of the slights about their play, especially how the Purdue game keeps coming up. They will look to silence everyone for Urban Meyer’s impeding departure. The Washington defense is stout and filled with talent. Led by the Pac-12 Defensive Player of the Year and first-team All-American Ben Burr-Kirven, they will try to stop the Ohio State offense. So far, Washington has allowed just 9 passing touchdowns the entire year, but with the caliber of Ohio State talent on every level of the offense, we will see if that holds up. 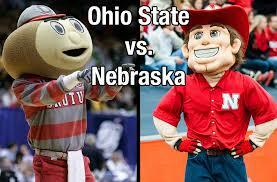 So here is prediction time and this game contains the storyline that gives the Buckeyes the edge. Your coach is leaving due to illness and is retiring to become the assistant AD and every player wants to send him out on the right note. The Washington starting QB giving the defense some or more bulletin board material that will fire up the Silver Bullets for the contest. This game will be close right before half before the Buckeyes pull away. I also see the game getting out of hand before half, but I will go with the first prediction. The second half adjustments will close the door on the Washington comeback charge. Since last spring, the coaching staff at Ohio State has reminded players to “Win the moment”. Urban Meyer has consistently sang that tune as recently as Friday at the Big Ten Championship press conference. When asked about whether the Buckeyes have to win big over Northwestern to have a chance at another College Football Playoff appearance, he maintained that their would be no talk of the playoff in Ohio State’s locker room. The Buckeyes will focus on one thing and one thing only; win the moment. Beat Northwestern. How then, should Ohio State go about beating Northwestern? The wildcats do not have the most prolific offense we’ve ever seen. In fact, averaging only 23.7 points per game with a quarterback who has only thrown fourteen touchdowns this season means Northwestern is about as average as it gets offensively. However, while only scoring 284 points on offense to this point, the Wildcat defense has given up only 260 points all season. Which means, if my math is correct, Northwestern likes to play smash mouth football with just enough offense to get the W. The biggest question for Northwestern will be whether or not their offense will be able to produce enough points against Ohio State’s middle-of-the-road defense, in order to squeeze out another victory; especially when it’s own defense will have it’s hands full with with the “second best” offense in the sport (obviously, I remain unimpressed by Oklahoma’s offense running up the score in the Big 12; but I digress). Finally, one of the biggest advantages for OSU is the experience factor. With respect to experience in a conference championship game, Northwestern has none. This will be the first ever appearance by the Wildcats; while the Buckeyes will make their fourth appearance in six years. This matters because we know the moment shouldn’t be to big for the Buckeyes to go out and seize it. The average fan should look for Ohio State to score early and often, as Dwayne Haskins could have a huge game against the Wildcats’ back seven. Dwayne Haskins: 70% or higher completion percentage. 400 yards and 4 TDs. Ohio State. That Team Up North. It is that time of the year where two of College Football Blue Blood programs will duke it out with what seems like everything being on the line. For Ohio State, a shot to win the conference crown and a potential playoff berth with one last major obstacle in their way–their neighbors to the north. TTUN has the same goals in mind and they can control their destiny, but they must go through Columbus to reach them. I cannot stress the importance of this game for either side. School and personal pride coupled with the College Football Playoff implications, it is like a high stakes poker game pitting two heavy hitters vying for the entire pot. Ohio State looking for another high stakes signature win against another ranked team. 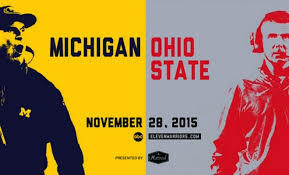 TTUN looking to continue their revenge tour and their rise from a mediocre team to an elite one. They are also desperate to break the Buckeyes current 6-game winning streak and they will try to win in Columbus for the first time in what seems like forever. Both teams underperformed the week prior. The Buckeyes nearly lost to a high octane Terrapins offense before closing the door in overtime while the Wolverines narrowly beat Indiana. It seemed like both teams were looking ahead to this matchup and both looked sluggish before securing the win. This game is a beat writers dream with a lot of storylines to cover with one of the biggest matchups will be between both signal-callers, the Quarterbacks. Haskins versus Patterson. Both got the job done last week with Haskins accounting for 6 total touchdowns (3 passing, 3 rushing). Patterson did his job and kept his offense in the game. An interesting dimension to this game is both signal-callers actually talk and are friends and this game will certainly put their friendship aside. The Running Backs for both sides are another storyline worth keeping an eye on. The Buckeyes have Dobbins and Weber, both of which are studs. Dobbins bared the workload and carried the rock 37 times and McCall had a few snaps here and there. Weber did not play due to a quadriceps injury, but his status is questionable this early in the week. Dobbins has his eye intently on this game and he will look to secure another victory against TTUN. He stated that “He left Texas for The Game”. What adds to the drama, Higdon just guaranteed a win against their arch-rivals this weekend, which could spice up the game and turn the drama up a notch. 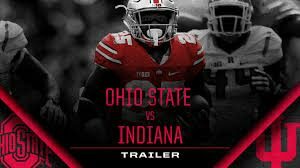 The two major keys will be how will the Buckeyes defense responds after their near defeat and will the trench war lose it for the Buckeyes with their inconsistencies and struggles to maintain leverage. For the Wolverines, will Winovich play and can they finally beat the Buckeyes and complete their “revenge tour”? On a side note, the Buckeyes will host a lot of high school talent that could add to the depth of the team. There are too many great prospects to name, but this will be another opportunity to secure a few commitments prior to the early signing period in December. The home team better be ready to be as loud and obnoxious as possible to rattle the Wolverines and impress the high school prospects. Oh, not to mention that this could be a great chance for the NFL Draft eligible Buckeyes to improve their draft position against a great Wolverine team. Look for some highlight plays and questionable ones too as the game inches closer to the end. This game will be a doozy. Both teams playing on another level in all phases will keep us all on the edge of our seats. This has all the makings of another instant classic between these bitter rivals that will stress us out. As much as I want it to, I want to blow this team out badly like how the 2014 team dismantled and shut out the Badgers before winning it all, but I know better. It will be a defensive battle that will have an occasional big play, but I wouldn’t mind if I was wrong. Penalties will occur and this game will not be pretty. The TTUN’s defense will frustrate the Buckeyes O-Line for much of the first half, and the second half adjustments will be invaluable. The TTUN Tight Ends will make some plays and DPJ will do the same because of the Buckeyes tendency to give up huge, momentum-swinging plays. The Buckeye defense will show up when they need it the most. Haskins will do enough to mix it up with passing and running and the RB’s will share the load. Tate Martell will also make an impact with his package of plays to confuse the opposing defense. All-in-all, I say the Buckeyes extend their streak to 7 games against TTUN. After coming off a big time win against Michigan State, Ohio State will get one last tune up game against Maryland before playing That Team Up North. Ohio State has improved in both games after the Purdue game and bye week. Neither game has been perfect, but to be able to find ways to keep improving and finding ways to win in November is fantastic news. Ohio State introduced the Tate Martell redzone package last week, and it worked flawlessly, until Michael Jordan had a bad snap and the Buckeyes turned the ball over. Ohio State is finding new ways to run the ball, the defense is playing much better, especially at the safety position. Brendon White seems to be the spark this defense needed, and everyone is playing much better. Still some missed tackles, but if the defense continues to show improvement, they will be scary good. To me though, the biggest takeaway the last two weeks is the fire. To ice Nebraska, JK Dobbins demanded the ball and plowed his way for first downs, and would be screaming the whole time. Last week, Dwayne Haskins ran the ball and lowered his shoulder, and trucked a MSU player for the first down, however it was called back due to a penalty. Yes, same Haskins who had 15 yards of grass in front of him, and he slide after 1 yard. This team all year, seemed to be missing leadership. Seemed to be missing the drive to win. But they have found it. That will to win is here, and it could not have come at a better time. Maryland has been an up and down team all year. The first game of the season they were able to beat the Texas Longhorns. Then dominated Bowling Green, but end up getting dominated by Temple the following week. And that has been there season in a nut shell. They are coming off back to back loses against Michigan State and Indiana going into the Ohio State game. Maryland, however, will not be at full strength against the buckeyes, as QB Kasim Hill is out for the season with a torn ACL bringing in Tyrrell Pigrome who brought Maryland back from 31-15 at Indiana before ultimately losing 32-34. Maryland is holding teams to 25.4 points per game while Ohio State is scoring 40.6 points per game. Ohio State is holding teams to 22 points per game while Maryland is scoring 28.8 points per game. Maryland is holding teams to 4 yards a carry and 6.6 yards per pass. Ohio State is averaging 4.3 yards per carry and 8.6 yards per pass. Maryland is ranked number 1 in redzone scoring. While Ohio State is ranked 119 at 73 percent. This is where Ohio State needs to improve the most. The Tate Martell package was a great improvement, and will need to get better. Urban Meyer is 4-0 against Maryland. 2015 was the closest Maryland ever got to winning, and the score was 49-28, Buckeyes. 2016 and 2017 the Buckeyes have won 62-3 and 62-14 respectively. I believe this will be a 3 quarter game, and a perfect tune up game for That Team Up North. I am saying 62-17, Buckeyes. O-H! Glass House or Sturdy Fortress? After the embarrassing defeat at the hands of Purdue and two, long weeks to prepare, the Buckeyes look to bounce back against a lowly Cornhuskers team at home. This will not be a normal home game–it will be a blackout with their black alternate uniforms. Will this be a funeral for the Cornhuskers who have just two wins under Scott Frost? Or would it be another slow start coupled with big plays vulnerability and another stellar second half beatdown? You never know with this team, but I think we will learn a lot about this team in the opening minutes of this contest. Adversity is a double-edged sword that can make or break an individual and it could also fracture a team, but this feels like it’ll be fun to watch to watch this group of players the rest of the year. I have a strange feeling, but it’s a good one because of the loss two weeks ago? It hurt and I think it has lit a fire inside of these players–and an angry Buckeye team is a fun, lethal one at that. Nebraska’s journey under Frost has been rocky to say it mildly. With a rash of defections to their former head coach’s alma mater, Oregon State, they will look to compete against Ohio State, but it will be a tall task. With their first game against Akron being canceled due to weather, Nebraska was pretty bad until they secured wins against Minnesota and Bethune-Cookman. They are currently on a two-game win streak. Ohio State struggled but won up until Purdue. They are riding a one-game losing streak, but they will most likely right the ship on Saturday. With their CFB Playoffs in question, they have one of the better resumes, but like last year, they could be left out again. With wins against TCU and Penn State and dates with both Michigan State and Michigan, you just never know until the hammer drops at the end of the season. Both teams have issues that need to be resolved, which might make this painful to watch. Martinez is a true freshman and he is a dual-threat, but he tends to turn it over and is prone to mistakes. Haskins has a cannon, but he cannot run effectively enough to pick up key first downs. Ohio State also is deficient in the running game and it has been lost with the improvements to the passing game while Nebraska is efficient in the running game and sprinkles in passes to add a balance. Ohio State’s defense is also suspect and susceptible to big plays and they give those up consistently at an alarming rate and opposing offenses take advantage of their defensive scheme’s weaknesses weekly. Nebraska’s defense is also suspect and they tend to disappear against potent offenses. Against Michigan, Purdue, and Wisconsin they gave up a total of 139 points total in lopsided losses. 56, 42, and 41! Ohio State can win this convincingly, but it must be balanced. Ohio State gives up a ton of yardage with slants, posts, and runs down the middle. Two vulnerable defenses will square off against each other’s offenses with the nod going in the Buckeyes favor for the fact that they can get up and down the field, at will, if the balance is there. The Brotherhood is still intact at Ohio State and they will go hard the entire game. I think there will be an emphasis on the run game and they should be able to salvage and fix it just in time for Maryland, Michigan State, and Michigan. The passing game will flourish against this defense. The biggest question will be the defense. There have been quotes about Tuf Borland saying “the defense has a surprise that the fans will love”, but that has yet to be seen or excecuted. I think they have a modest showing and they will shut down Nebraska. Ohio State is riding a three-game win streak outscoring Nebraska 181-55.